Vicken Y. Totten MD graduated from Loyola University School of Medicine in 1978, and trained as a Family Physician in an unopposed program. After FM Board Certification, she added Board Certification in Emergency Medicine via the practice track. Since then she has practiced in many environments from NYC to rural California, and in Japan and Sweden. She is an academician with a deep interest in improving the health of patients throughout the world. 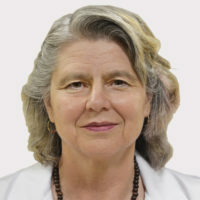 Through teaching and working in various countries, she has reaffirmed that although the economics and specifics of health care systems differ widely, human physiology is much the same. As technology advances, it remains important that physician continue to focus on the basics of patient care: listening to the patient, carefully examining the patient, followed by careful and repeated observation of the patient. Dr. Totten focuses much of her bedside teaching on teaching young practitioners to see, to observe and to interpret what they have seen, and not to rely upon what others have reported. Dr. Totten's academic work focuses on teaching research methods. Choosing an appropriate clinical question and developing an appropriate method to examine this question is a perennial challenge for young clinicians. She has mentored innumerable undergraduates, medical students, residents and young faculty through their work to publication. When possible, her areas of research interest include observing patient and predicting outcomes. In Japan, Dr. Abe and his team wondered why some victims of out of hospital cardiac arrest had normal cardiac arteries. Dr. Totten helped the team find the common variables. She has turned an observant eye on characteristics of sexually abused children and characteristics of their abusers in hopes of teaching physicians to notice abuse; on the accuracy and frequency of vital sign monitoring in the ED to demonstrate that when patients are sickest and staff are busiest is exactly when recorded vital signs are least accurate and up to date. Earlier in her career, Dr. Totten was intrigued by observing characteristics of physicians and their wellbeing. Her teaching earned her the highest teaching accolade available to the American College of Emergency Physicians, the Senior Teaching Award. She has also received many other awards for her teaching.